Home How healthy is chocolate? Chocolate makers have aimed to hit the sweet spot between health and indulgence for years. But can chocolate ever be considered truly healthy? Researchers continue to investigate the potential health benefits of certain compounds in chocolate – specifically, the antioxidants and flavanols in cocoa – and a growing body of evidence has linked them to improved cardiovascular health, reduced levels of harmful LDL cholesterol, and prevention of cognitive decline. For consumers, chocolate remains a favourite indulgence food, meaning they are quick to embrace these alleged health benefits. However, health professionals are eager to highlight the need for moderation, considering that chocolate also tends to come with a generous helping of sugar, calories and fat. Recent reviews of the scientific literature also suggest that some of cocoa’s benefits may be overblown. A 2017 Cochrane review – widely considered the gold standard in assessing scientific consensus – found a small but significant lowering of blood pressure associated with cocoa consumption, but added that the evidence was only of ‘moderate quality’. It also noted that studies sponsored by chocolate companies tended to have more positive health outcomes, indicating possible bias. Meanwhile, the health halo of chocolate among consumers remains strong. 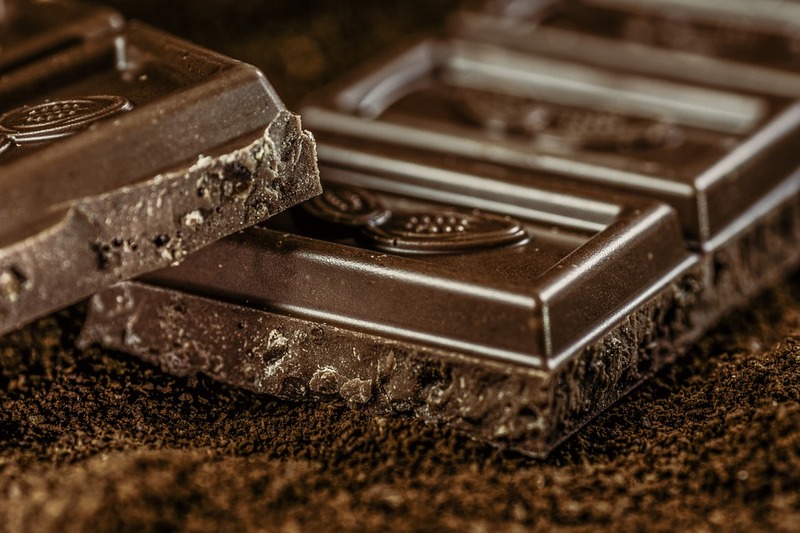 Euromonitor International has predicted that sales of dark chocolate will rise 3.5% to 2021, compared to an expected 2.3% rise in sales of milk chocolate. The market researcher has suggested that consumers don’t necessarily think dark chocolate is healthy, but that eating small amounts of chocolate with good quality ingredients is a healthier alternative to eating other kinds of chocolate. Chocolate manufacturers have become creative with how they position chocolate. In Europe, some aim to benefit from an EFSA-approved health claim won by cocoa and chocolate maker Barry Callebaut in 2013. It says that chocolate and cocoa products with at least 200 mg cocoa flavanols “contribute to healthy blood circulation by helping to maintain the elasticity of blood vessels”. Other companies take a different tack, adding fibres and protein to chocolate ingredients to profit from health claims unrelated to the chocolate itself – while also benefiting from consumer belief that chocolate can be a healthy food when eaten in moderation. Health claims aside, the premium chocolate sector may have the most to gain in the near future, and Euromonitor suggests it could learn from the premium coffee industry, where highlighting the product’s provenance and quality has enabled companies to turn a simple drink into a small luxury. Similarly, continuing to educate consumers about cocoa content and origin could help chocolate makers position their products as a premium indulgence, perhaps more important for mental wellbeing than for physical health.